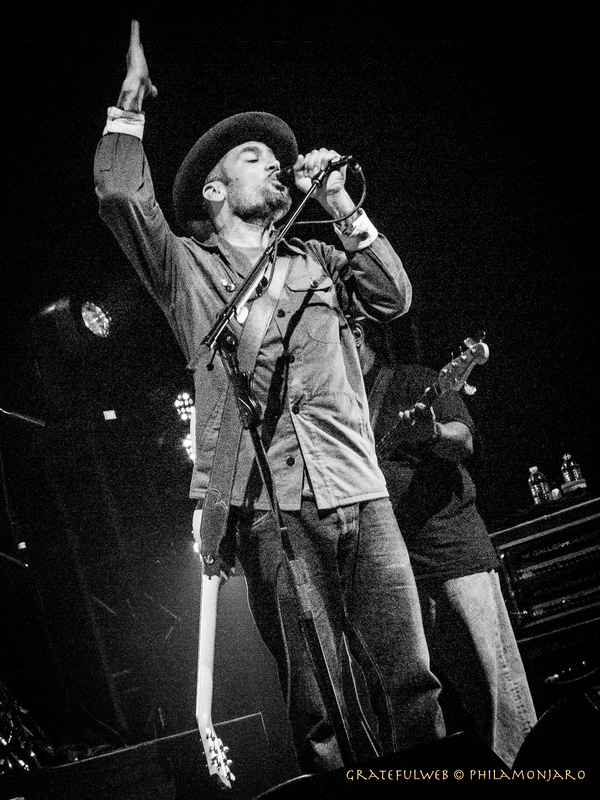 When Ben Harper and the Innocent Criminals take the stage, they bring equal parts heartfelt gratitute, master musicanship and pure creative engagement for the audience. Chicago's show was barely a few weeks after the release of their new recording 'Call It What It is' on the legendary Stax label. Last playing together in 2007, the Innocent Criminals have reunited for this recording and this tour. So the electricty on the stage had that 'getting-the-band-back-together' vibe. The Innocent Criminals are comprised of percussionist Leon Mobley, bassist Juan Nelson, drummer Oliver Charles, keyboardist Jason Yates, and guitarist Michael Ward. Opening act Christopher Paul Stelling brough a high energy acoustic set that the crowd responded with enthusiastic discovery.